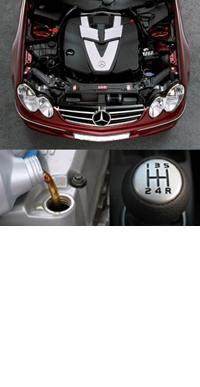 We provide all mechanical repairs and car servicing on all makes and models. Why trust Any Transmission Ltd. with your next car repair? We provide a NAPA Authorized Service Warranty for 12 months or 20,000 kms on all work performed. Repairs are performed by certified trained automotive technicians who are fully updated on all new car models with service bulletins and regular workshop clinics. Our services include Exhaust repairs, Air Conditioning repairs, Fuel System-EFI system repairs, all Minor and Major Engine Repairs including engine replacement, Wheel Alignment, General Car Servicing, Cooling Systems, Clutch Repairs, Suspension, Brake Service, Rear Axle repairs and of course Transmission Repairs. We specialize in repairing and maintaining fleet services. Only quality name-brand parts and products are used in the repair and maintenance of your vehicle to ensure your vehicle operates at it's best. Product names such as AC DELCO, MOOG, RAYBESTOS and BOSCH are a few of the fine products we carry. 1 Year / 20,000 kms warranty parts and labour (new parts only). All customers are treated to a free Complimentary check which includes signal lights, washer fluid, windshield wipers, quick clean inside, tire pressure reset and check transmission fluid. Owner/Operator of Any Transmission Ltd.
Open: 7:30 a.m. to 4:30 p.m.